Almost time to resuscitate the group! I've been giving some thought about what we should do this year. As usual I'll offer to host the Spring detailing gtg. We can shoot for April assuming the roads will be cleaned. Perhaps towards the end of the month. I've been thinking about changing the time of year that we hit Mt. Equinox and not timing it during the Fall Foliage rush. We spent way too much time in traffic last year. perhaps we can do a foliage route through some lesser traveled areas this year and attempt to avoid gettting killed in traffic. It would be nice to have another couple of organized drives with destinations and lunch. Please offer up any suggestions on how we should do things or ideas for drives/gatherings etc. Looking forward to shaking the dust off! 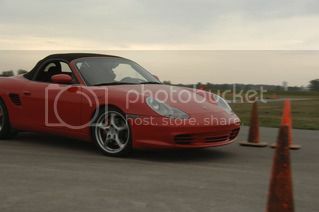 I'll be taking delivery of a 987 Boxster S in June. I hope to join you guys in future meets/events. Btw, Mohawk Trail on Rt. 2 is always a blast. I am very interested in your detailing day would like to learn more about your take on new porsche finishes and the best way to maintain them. I will watch this board for more info. Great - always nice to see some new faces! I'll be getting the word out on the Spring detailing date soon. I'll post a date poll and see how the group responds. I'd like to do April. It will be probably 4/23 or 5/7. We've got several people in the group that really know how to detail cars! Unfortunately this will be our first full year with the prime founder and organizer of the local group - Charlie. He moved to Sacramento last year. He also was very informed on detailing. I've tried to keep the torch burning!! Anyway, I'll start the poll and send word out to the mail lists etc. Many people swear by Zaino car polish. I'm now a believer. Giving the car a good rub down with a clay bar is a good idea too. I'll watch but if you would email me that would be great. Top down weather yesterday and today. Weather to make a young man's fancy turn to ... open roads and wind in your hair or at least on your neck. I need to update my email list. so I can add you to the list. and yes I got a lot of wheel time the last two days with the top down. It felt great!